Vanair has introduced a line of Tier IV Final- compliant engine driven utility mount rotary screw air compressors in sizes of 185 CFM, 210 CFM, and 250 CFM. Vanair has introduced a line of Tier IV Final- compliant engine driven utility mount rotary screw air compressors in sizes of 185 CFM, 210 CFM, and 250 CFM. These stand-alone machines, which are typically cross-mounted along the bulkhead of the body of the vehicle, are equipped with a waterproof eye level, curbside digital control panel for easy accessibility. The corrosion resistant canopy has fork pockets and a balanced single point lifting bail for easy installation and removal. 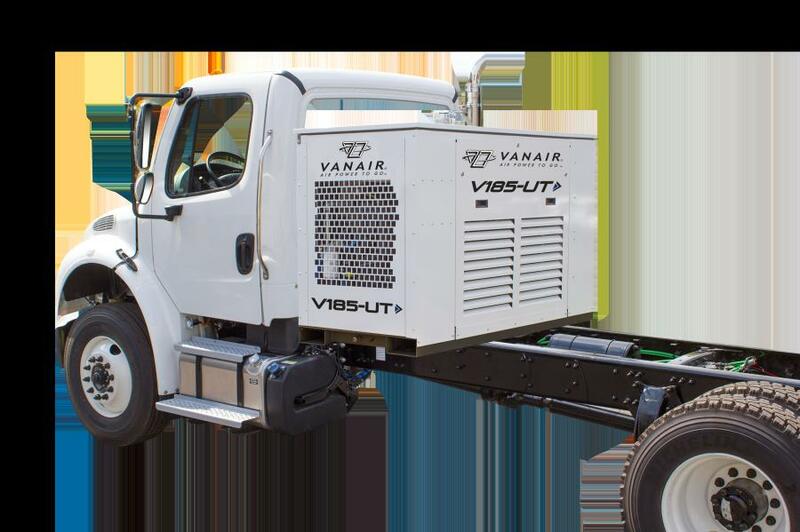 “Our new utility mount air compressors provide our customers the perfect option when a non-PTO type of air compressor is desired, or the PTO is not available,” said Greg Kokot, president of Vanair. For more information, call 800/526-8817 or visit www.vanair.com.